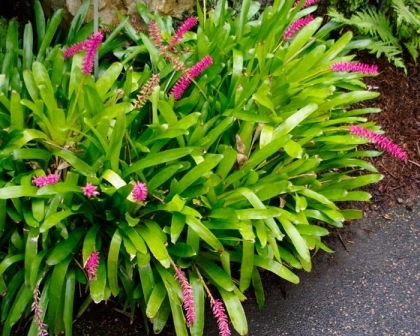 Happy to hear that Nandine, this is one of the easiest Aechmea to grow and they are generally reliable to procreate like rabbits. The fact that you are giving them more room to grow and multiply just means you'll get even more. Lovely plants, good choice. Aechmea New Pups Re-Potting I have a few Aechmea, some of which have developed 'pups' along side the main plant which seems to be still very healthy. Is it safe to break them off and re-pot them now?